One challenge for many car accident injury victims is getting a rental car from the insurance company. Waiting for repairs or a check for your totaled car can take time. You still need to get to work if you are able, get your kids to school, and live your life. Obviously, these concerns are more pronounced in one car families. If you are in an accident as the result of someone's else mistake, there is usually a path to getting a rental car. The rental vehicle provided should be comparable to the vehicle damaged in the accident. If you were driving a pickup truck, it is not reasonable for your replacement vehicle to be a subcompact. Getting a rental car after an accident can be a battle. Unless you have suffered injuries, getting a lawyer can be a challenge. This article lays out the best path to helping you get a rental car when the insurance company is trying to deny you the vehicle you are entitled to have. Hopefully, this process goes smoothly for you. The simplest path is when the at-fault driver’s insurance company agrees to immediately - with immediately being the operative word - accept liability for the traffic collision. In this case, the insurance carrier will pay until for your rental car until they pay you the fair market value of your totaled car or pay for the complete repairs of your car. More problematic is when the at-fault insurance company makes no decision at all. This state of limbo puts the victim in a pickle. Insurance companies usually make no decision when they are not able to reach their driver to obtain their version of the crash. In this case, Plan B is to find out if you have rental coverage through your own insurance company. If you do, they will pay for your rental car while your property damage issues get resolved. Your insurance company will, in turn, fight the at-fault driver’s insurance company. 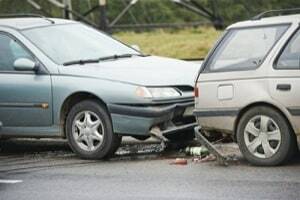 The insurer's goals is to get compensated for the money they paid for your rental car once we get resolved the responsibility for the motor vehicle crash. The biggest problem in getting a rental car is when the at-fault carrier either denies responsibility. It can be equally as bad if the insurer withholds making a decision when you need a rental car. The at-fault carrier must pay for a rental car. If they either later agree they are responsible or are found to be responsible, then they are obligated to pay you for the money you spend on a rental car. But you have to front the money to pay for the rental vehicle. Not everyone can front this expense in 2018. So you assume the risk that liability will be resolved in your favor. In most states, including Maryland, your lawyer cannot help you. Because even if your lawyer wanted to pay for your rental vehicle, they are legally and ethically barred from doing so. This is a terrible situation. There are no easy answers. The key is to apply pressure to the at-fault driver's insurance company. Not having a lawyer limits the amount of pressure you can apply because you do not have a hammer. Lawsuits are hammers. But you can apply pressure on the insurer to do the right thing. Remember you have to comply with the time limit to bring a claim in your jurisdiction. How Long Can I Keep My Rental Car After the Accident? In Maryland, and in most jurisdictions, you can keep your rental car as long as you are waiting for a check (for reasons that don't involve your delay). You also get a rental car if your car is totaled. You can keep the rental if your car is totaled or for a reasonable period while repairs are being made. Keep in mind that laws are different in each state and different insurance companies have different laws and policies. Clear communication and documentation with the insurance company make a big difference. These situations can quickly become "he said/she said." Documentation solves this problem. What Should I Do If I Have Suffered a Serious Injury in My Car or Truck Accident? We handle serious injury auto accidents cases in the Baltimore-Washington area. Our firm has won at trial in hundreds of motor vehicle collision cases. We have also successfully settled thousands of cases for clients, earning over $100 million in compensation for personal injury victims in settlements and trial verdicts. If you or someone you love has been injured or killed in a car accident, call us at 800-553-8082 or click here for a free consultation via the Internet. How Long Will Your Settlement Take? Do I Need a Lawyer? Short answer: maybe. Can I Fire My Lawyer? Short answer: absolutely.